1 A None No Power Seat 1 A is a standard Economy Class seat that may have restricted legroom due to the position of the bulkhead. The proximity to the lavatory and galley may be bothersome. 1 B None No Power Seat 1 B is a standard Economy Class seat that may have restricted legroom due to the position of the bulkhead. The proximity to the lavatory and galley may be bothersome. 1 C None No Power Seat 1 C is a standard Economy Class seat that may have restricted legroom due to the position of the bulkhead. The proximity to the lavatory and galley may be bothersome. 1 D None No Power Seat 1 D is a standard Economy Class seat that may have restricted legroom due to the position of the bulkhead. The proximity to the lavatory and galley may be bothersome. 1 E None No Power Seat 1 E is a standard Economy Class seat that may have restricted legroom due to the position of the bulkhead. The proximity to the lavatory and galley may be bothersome. 1 F None No Power Seat 1 F is a standard Economy Class seat that may have restricted legroom due to the position of the bulkhead. The proximity to the lavatory and galley may be bothersome. 10 B None No Power Seat 10 B is a standard Economy Class seat that may have limited recline due to the exit row behind. 10 C None No Power Seat 10 C is a standard Economy Class seat that may have limited recline due to the exit row behind. 10 D None No Power Seat 10 D is a standard Economy Class seat that may have limited recline due to the exit row behind. 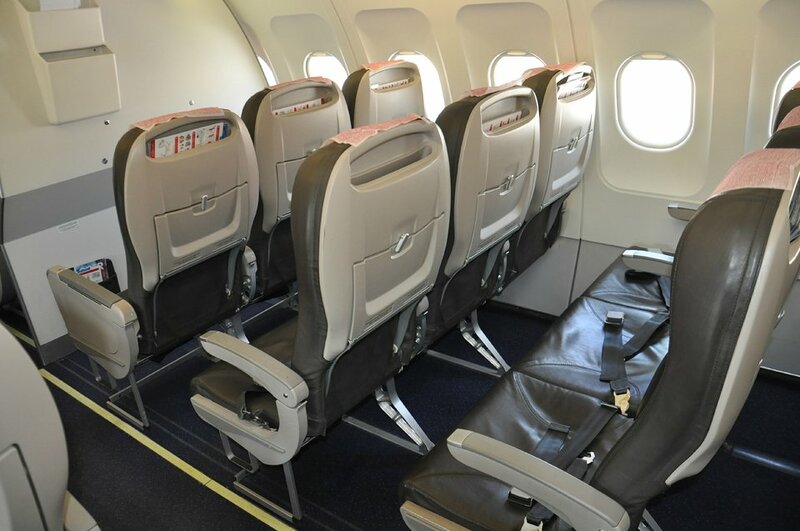 10 E None No Power Seat 10 E is a standard Economy Class seat that may have limited recline due to the exit row behind. 11 B None No Power Seat 11 B is a standard Economy Class seat that has extra legroom due to the exit. 11 C None No Power Seat 11 C is a standard Economy Class seat that has extra legroom due to the exit. 11 D None No Power Seat 11 D is a standard Economy Class seat that has extra legroom due to the exit. 11 E None No Power Seat 11 E is a standard Economy Class seat that has extra legroom due to the exit. 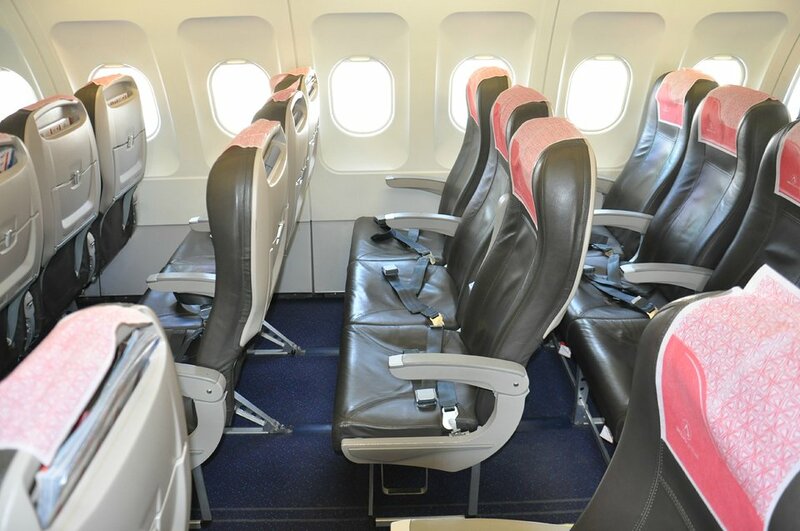 12 A None No Power Seat 12 A is a standard Economy Class seat that has extra legroom due to the missing seat in front. 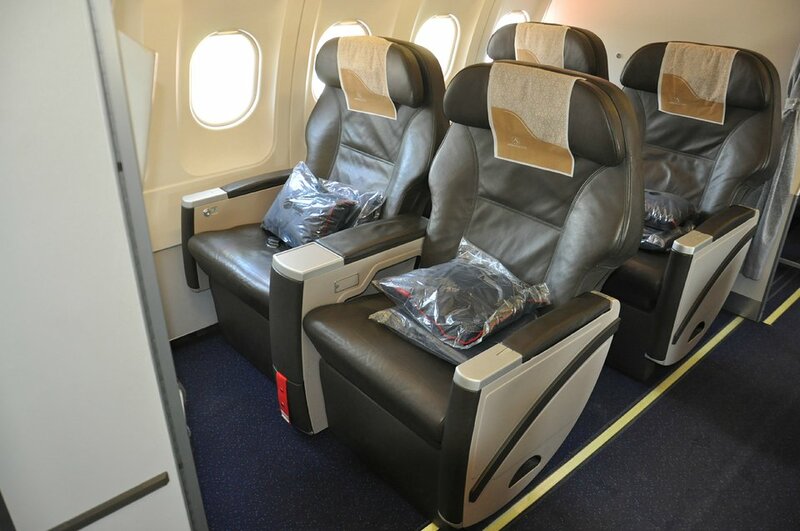 12 F None No Power Seat 12 F is a standard Economy Class seat that has extra legroom due to the missing seat in front. 24 B None No Power Seat 24 B is a standard Economy Class seat that may have limited recline due to the exit row behind. 24 C None No Power Seat 24 C is a standard Economy Class seat that may have limited recline due to the exit row behind. 24 D None No Power Seat 24 D is a standard Economy Class seat that may have limited recline due to the exit row behind. 24 E None No Power Seat 24 E is a standard Economy Class seat that may have limited recline due to the exit row behind. 25 A None No Power Seat 25 A is a standard Economy Class seat that has extra legroom due to the exit. 25 B None No Power Seat 25 B is a standard Economy Class seat that has extra legroom due to the exit. 25 C None No Power Seat 25 C is a standard Economy Class seat that has extra legroom due to the exit. 25 D None No Power Seat 25 D is a standard Economy Class seat that has extra legroom due to the exit. 25 E None No Power Seat 25 E is a standard Economy Class seat that has extra legroom due to the exit. 25 F None No Power Seat 25 F is a standard Economy Class seat that has extra legroom due to the exit. 36 C None No Power Seat 36 C is a standard Economy Class seat however, the proximity to the lavatories may be bothersome. 36 D None No Power Seat 36 D is a standard Economy Class seat however, the proximity to the lavatories may be bothersome. 37 A None No Power Seat 37 A is a standard Economy Class seat in the last row of the aircraft that may have limited recline. The proximity to the lavatories may be bothersome. 37 B None No Power Seat 37 B is a standard Economy Class seat in the last row of the aircraft that may have limited recline. The proximity to the lavatories may be bothersome. 37 C None No Power Seat 37 C is a standard Economy Class seat in the last row of the aircraft that may have limited recline. The proximity to the lavatories may be bothersome. 37 D None No Power Seat 37 D is a standard Economy Class seat in the last row of the aircraft that may have limited recline. The proximity to the lavatories may be bothersome. 37 E None No Power Seat 37 E is a standard Economy Class seat in the last row of the aircraft that may have limited recline. The proximity to the lavatories may be bothersome. 37 F None No Power Seat 37 F is a standard Economy Class seat in the last row of the aircraft that may have limited recline. The proximity to the lavatories may be bothersome. AtlasGlobal offers audio entetainment on-board this aircraft. AtlasGlobal offers video entertainment via Overhead TVs that are located throughout the aircraft. 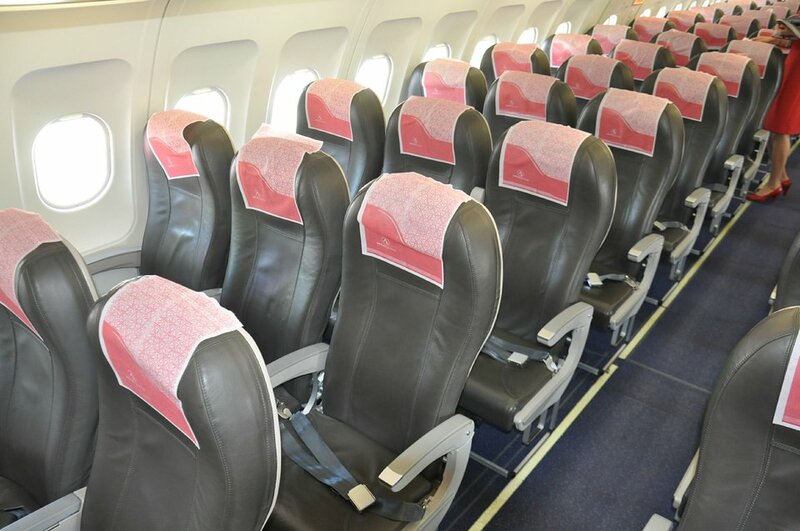 On most flights AtlasGlobal offers a carfeully prepared meal and beverage service. AtlasGlobal flies this version of their Airbus A321 in a one class configuration with 216 standard Economy seats. AtlasGlobal flies 2 versions of Airbus A321.